Keep in touch with friends and loved ones via this whimsical correspondence card. 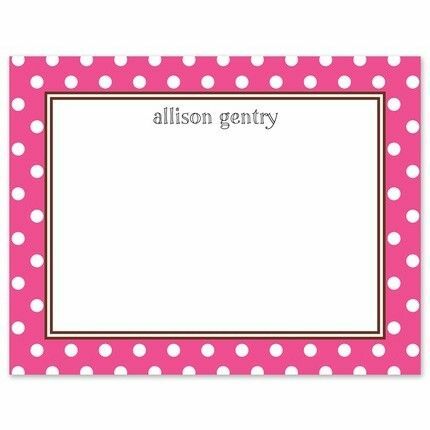 This white card features a pink outer border that is topped with white polka dots. Add your personalized text to complete the look.